Going from being an amateur athlete to the professional ranks isn’t necessarily the easiest of transitions. The spotlight is more on you as an athlete. You’re now a professional, and your lifestyle will forever change. 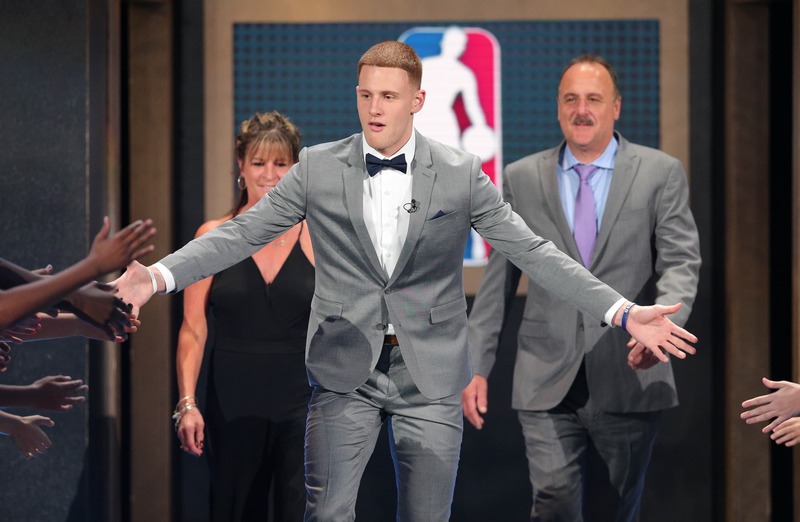 Just ask former Villanova Final Four hero Donte DiVincenzo, who was a first-round pick of the Milwaukee Bucks in last month’s NBA Draft. Here, we see DiVincenzo showing us his bank about balances. Each and every one of us likely has more than this in change under our sofa cushions. $1 to $1M REAL QUICK. That’s $3.71. Talk about the definition of a broke college student right there. The good news? The 21-year-old Delaware native will soon be a millionaire once he signs his rookie contract. Selected 17th overall, DiVincenzo is looking at a deal that will pay him somewhere near $13 million over the next four seasons. Maybe he should print out this screenshot and frame it. Wouldn’t you?